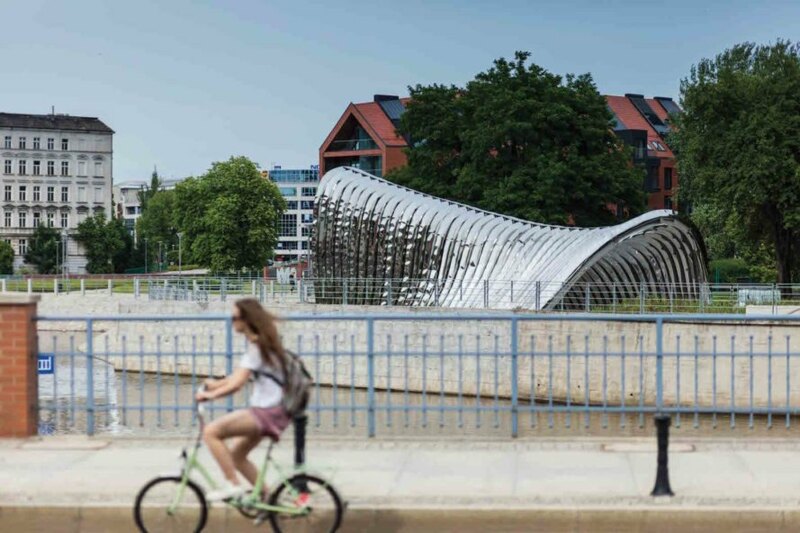 Bionics, art, and public space merge in NAWA, a striking sculpture designed by Oskar Zięta of Zieta Prozessdesign for the European Capital of Culture celebrations. Created to match the celebrations’ slogan of “metamorphoses of culture,” this ultralight mirrored installation changes its appearance depending on where viewers stand and the time of day. 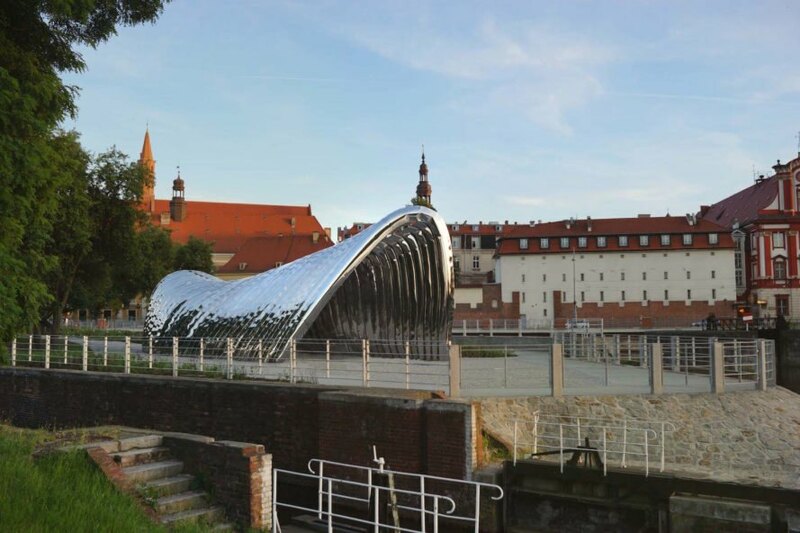 The unveiling of the avante-garde sculpture on Daliowa Island of Wrocław in western Poland will take place on June 30, 2017. Inspired by bionic shapes, the 100-square-meter NAWA comprises 35 steel arches of varying sizes to create an openwork gate through which people can walk. The polished steel arches reflect the changing surroundings, thus giving the sculpture a continually changing appearance. The choice of arches is also a reference to the nearby landmarks including the Ossolineum, the church’s tower at Piasek, Wroclaw Market Hall, and Ostrów Tumski. 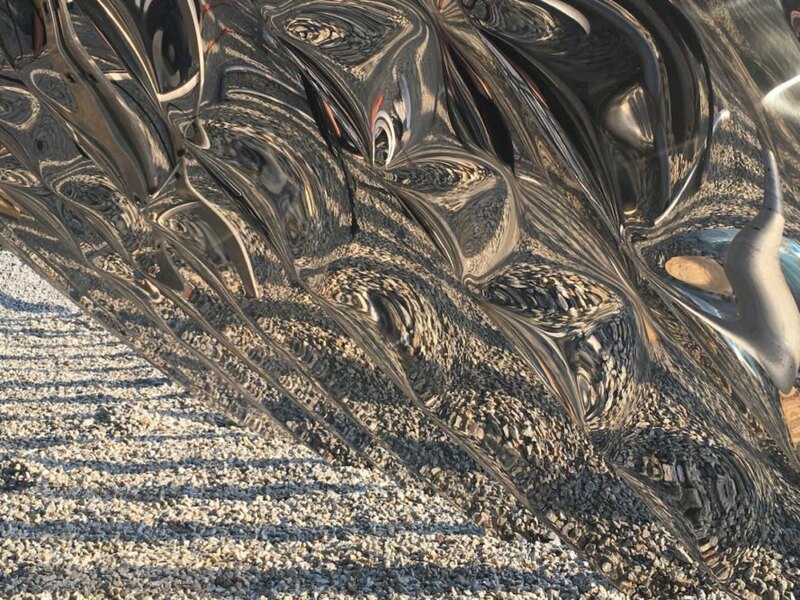 NAWA is ultra-lightweight thanks to FiDU, an innovative technology developed by Zieta Prozessdesign that distorts welded steel with compressed air. Almost 52 tonnes of steel and a million cubic meters of air were used for the sculpture. In addition to the installation of NAWA, around 7,500 new plants will be seeded on Daliowa Island. 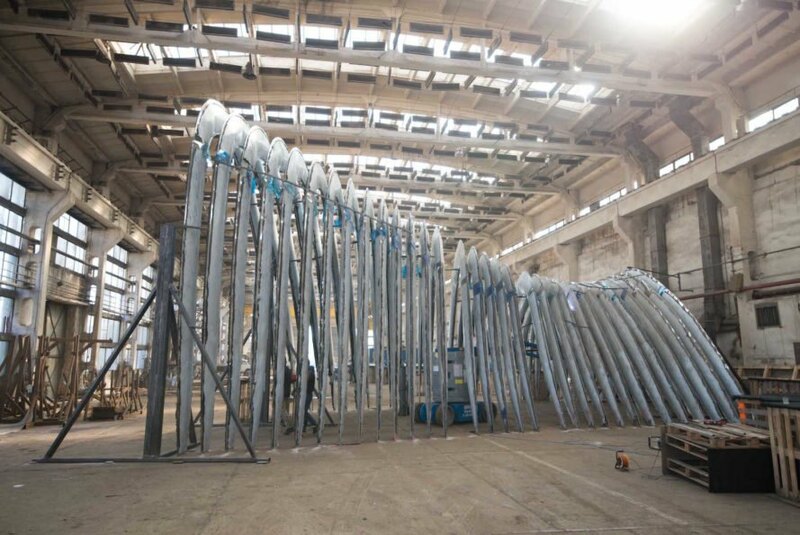 Bionics, art, and public space merge in NAWA, a striking sculpture designed by Oskar Zięta of Zieta Prozessdesign for the European Capital of Culture 2016 celebrations. Created to match the celebrations’ slogan of “metamorphoses of culture,” this ultralight mirrored installation changes it appearance, which differs depending on where viewers stand and the time of day. 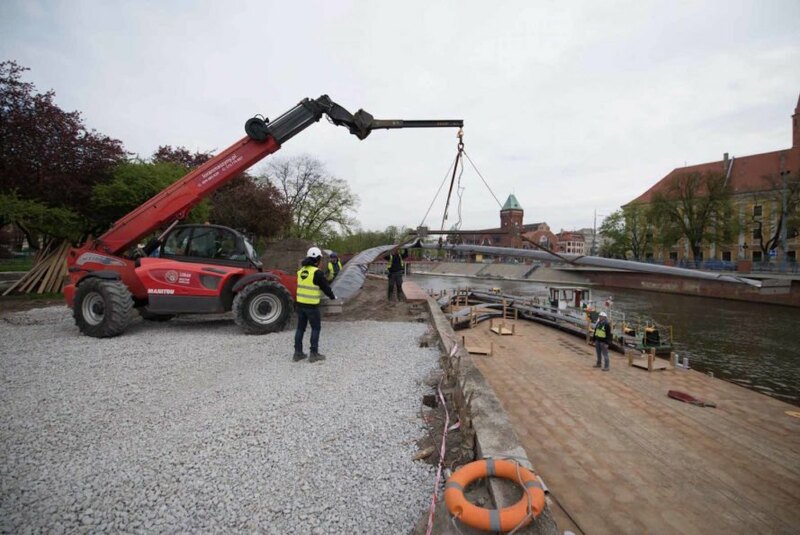 The unveiling of the avante-garde sculpture on Daliowa Island of Wrocław in western Poland will take place on June 30, 2017. The polished steel arches reflect the changing surroundings, thus giving the sculpture a continually changing appearance. The choice of arches is also a reference to the nearby landmarks including the Ossolineum, the church’s tower at Piasek, Wroclaw Market Hall, and Ostrów Tumski. “NAWA opens another chapter in the history of the Daliowa Island, returning it to the dwellers of Wroclaw,” wrote Zieta Prozessdesign. “The space is currently being revitalized and very soon will serve the city, becoming a bustling, open space for meetings, concerts and artistic events. Sculpture along with planned vegetation will create a consistent organic unity, emerging naturally from the river. At the same time, the realization will fit perfectly into the architectural order of the area and its vibrant life, full of tourists and passers-by. NAWA is ultra-lightweight thanks to FiDU, an innovative technology developed by Zieta Prozessdesign that distorts welded steel with compressed air. 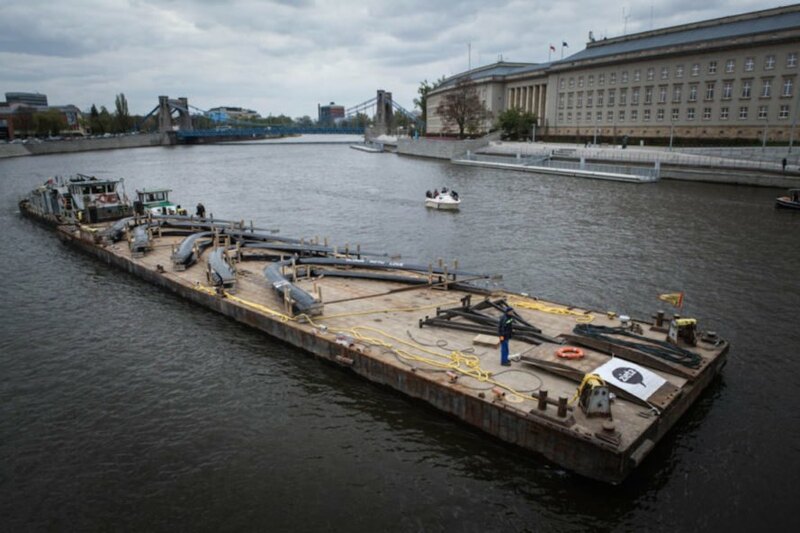 Almost 52 tonnes of steel and a million cubic meters of air were used for the sculpture. In addition to the installation of NAWA, around 7,500 new plants will be seeded on Daliowa Island.